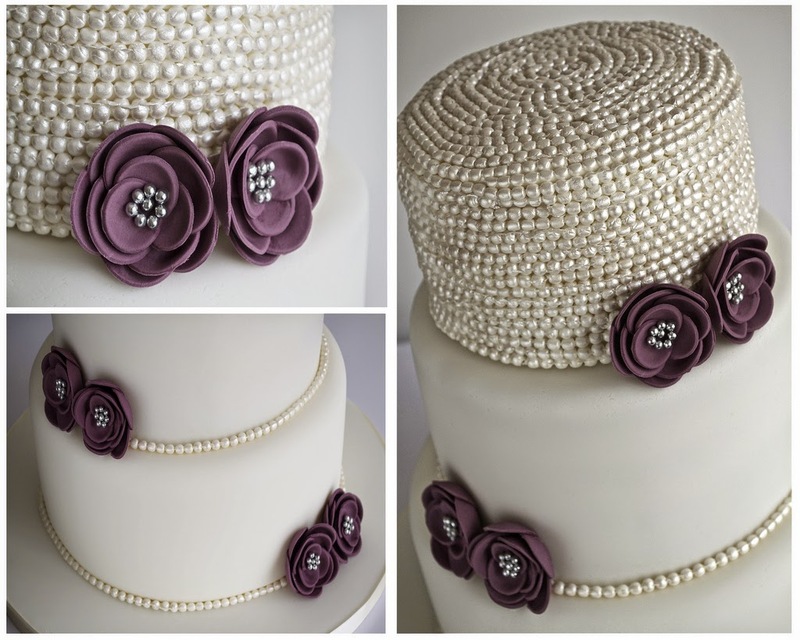 A 3-tier wedding cake delivered to Linthwaite House Hotel with sugar pearls and flowers to match the colour of the bridesmaids dresses. Based on a design I originally created for Cake Central Magazine (see blog post here). Vanilla bean sponge with vanilla bean syrup, layered with vanilla bean buttercream and raspberry conserve. 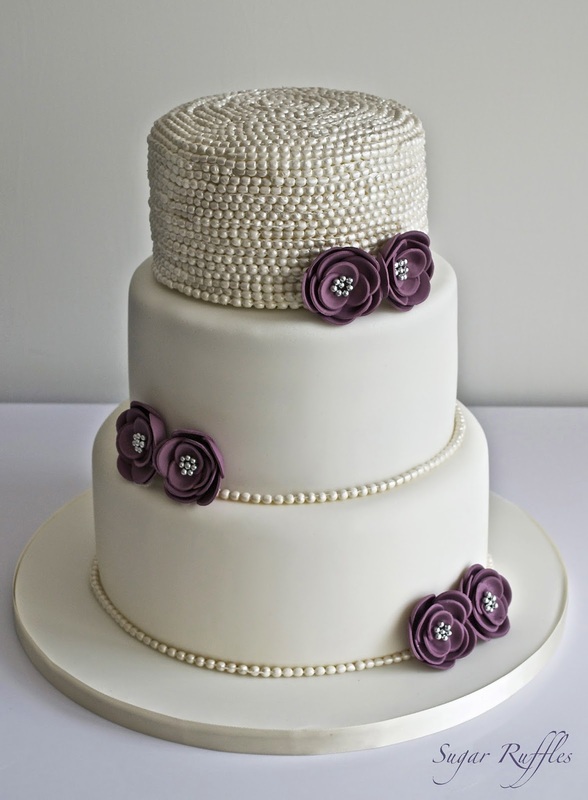 Charlotte this cake is stunning and the pearls looks so real. It's too pretty to eat. That is one beautiful cake ! Fantastic job.